We are featuring a beautiful two-tone metal garage with side entries. 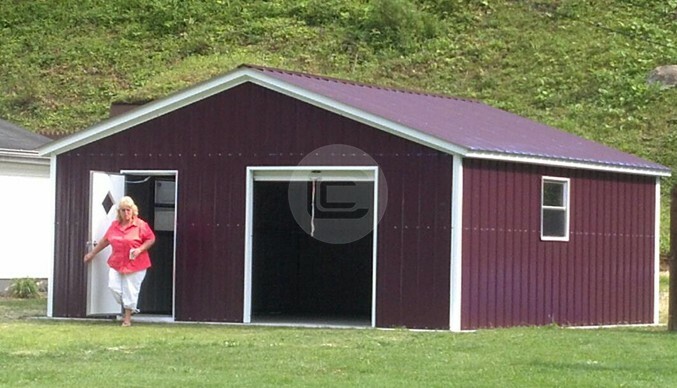 This 30×40 Two-Tone Metal Garage has vertical roof style and 12’ tall legs. All the walls are enclosed with horizontal panels which makes it a perfect residential style building which is certified for high wind and snow load. 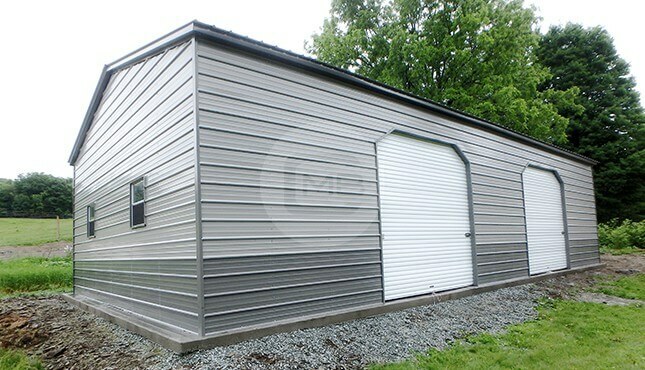 The actual measurements of this Two-Tone Metal Garage are 30’ width x 41’ length x 12’ height. (listed length is 41’ due to 6” overhang on the roof). The side wall has two 45 Degree cut roll-up garage-doors of 10×10 feet with two windows on end wall for natural lights. 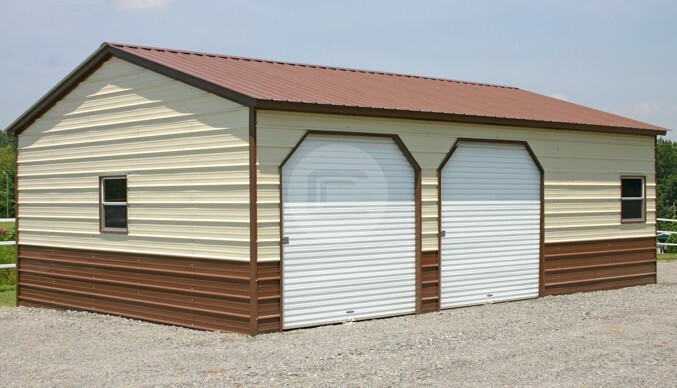 This 30×40 Two-Tone Metal Garage has enough space to park your cars/trucks and to store your automobile tools/toys in the same building. This Two-tone Metal Garage can be installed with the exact specification or can be customized exactly to your needs. Free Delivery and Installation. Lead times vary based on installation location. One-year workmanship warranty, 10-year panel warranty (chipping and cracking only), and 20-year rust through warranty on both the 12 gauge and 14 gauge frames.